Pakistan Probe: Super Star ‘Salman Khan’ convicted for hit n run case, will he really go to prison? Super Star ‘Salman Khan’ convicted for hit n run case, will he really go to prison? 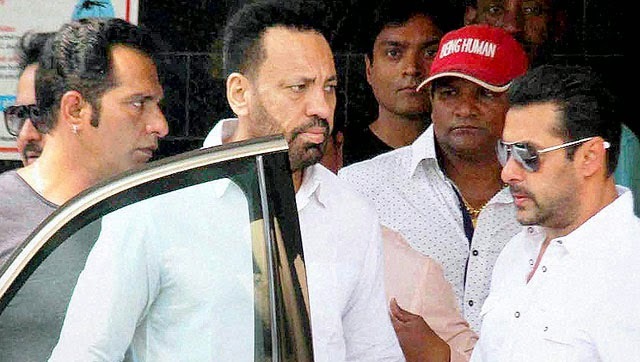 Khan challenged his conviction immediately after he was convicted by the Mumbai session’s court, along with a plea seeking bail while the court hears the appeal. The Sallu bhai is most favorite in both Indo Pak and this news of his 5 years imprisonment astounded every fan in continent. We cannot avoid this fact that the years old case resolved is proof of how Indian judicial system work and after nearly after 13 years the final decision is announced. We all have this one question in our minds that will superstar Salman Khan go to jail on Friday to serve a five-year prison for killing a homeless man in a 2002 hit-and-run case? Maybe. But, then again, maybe not. His sister was quick in this matter and brought interim bail before the court handed him the decision. The question will be answered when his 48 hours interim bail will be ended and the Bombay high court hears Khan’s bail plea on Friday, putting to rest all speculation about the star’s fortunes in the nearly 13-year-old case that has seen almost as many twists and turns as a Bollywood blockbuster. The Star khan who is in his late 40s was sentenced to five years for culpable homicide not amounting to murder on Wednesday for killing a homeless man with his SUV after a night-out drinking at an upmarket bar. However, he escaped jail after the Bombay high court granted interim bail barely hours after his conviction. It is possible the high court will grant him regular bail while it hears his appeal challenging the conviction and the five-year jail term. But the court may also cancel the interim bail granted to Khan. If the high court rejects his bail plea, the Bollywood star may urge the high court to at least grant him some time to surrender and in the meanwhile approach the Supreme Court. But if no such time is granted, the actor will have to surrender before the trial court which will take him into custody and send him to a central prison. Khan is not expected to be in court when the appeal comes up for hearing. The conviction is likely to bring Khan’s career to a grinding halt, with an estimated Rs. 300 crore riding on him as films and endorsements. After the conviction many celebrities visit Khan’s flat to console. Social media seen storm of tweets and sentimental statuses from all over the media and celebrities along fans.